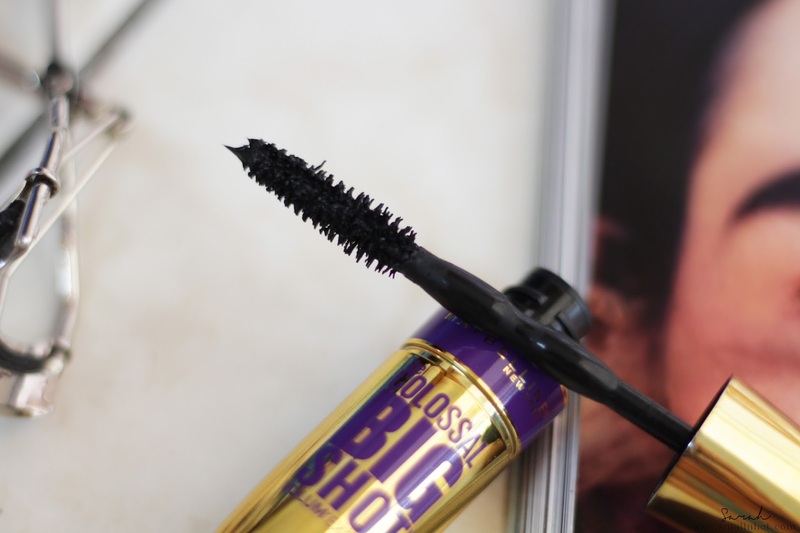 Maybelline Volum' Express The Colossal Big Shot Washable Mascara - A keeper or Not ? Maybelline Volum' Express The Colossal Big Shot Mascara unloads fully loaded volume in one coat. The Big Shot brush features unique, wavy bristles that cradle lashes, while the collagen formula delivers bold volume. You'll LIKE it if your lashes are lacking in the volume department. 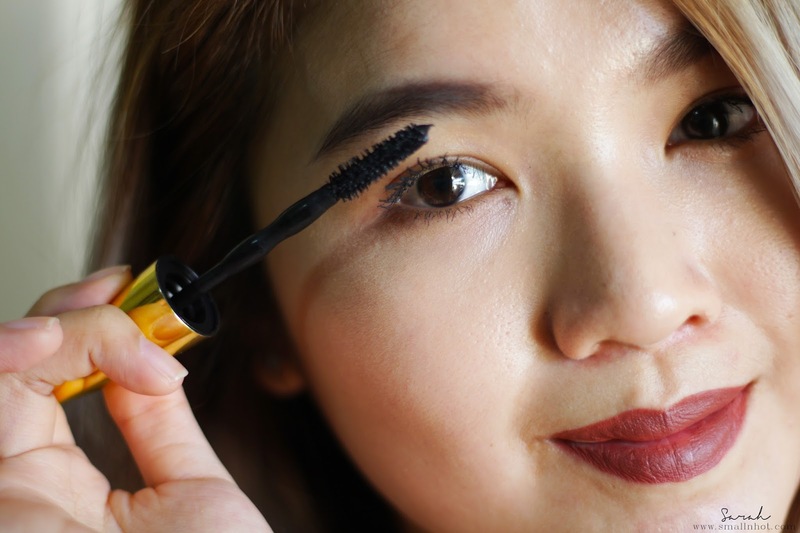 You'll HATE it if waterproof is the key requirement you are into when it comes to mascara. A little heads up, I am not blessed with those curl up and thick lashes, mine are naturally pointing downwards , kinda like an elephant. So my mascara requirements are simple and straight forward, as long as it's waterproof (they hold my lashes up much better), lengthen's and add's some volume to it, then I am good to go. 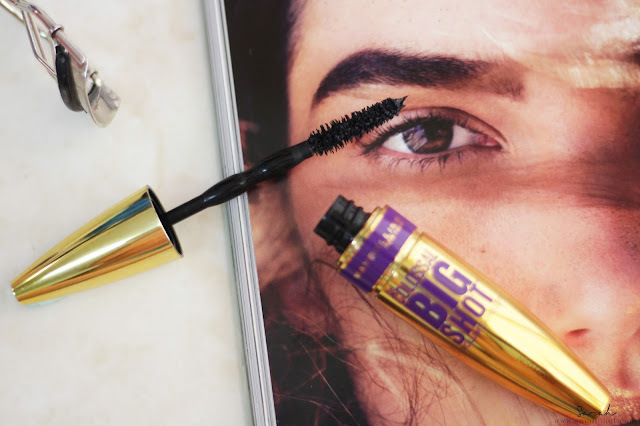 The Maybelline Volum' Express The Colossal Big Shot Washable Mascara somewhat ticked all the boxes, except for the waterproof part. 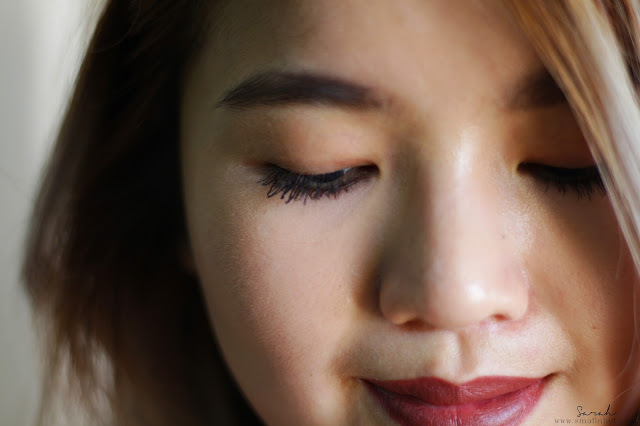 Usually I would just curl my lashes with Koji Curving Eyelash Curler, then apply one to two coats of mascara and my lashes would look fluttery all day. Although it's not waterproof but it still manages to keep my lashes curled up for the day, which is quite surprising. I like the fact it comes with a bristle brush that picks up a lot of product and coats the lashes from root to tip, giving all the volume that it's lacking, without looking too clumpy. Do note that it gets slightly clumpy on the 3rd coat. 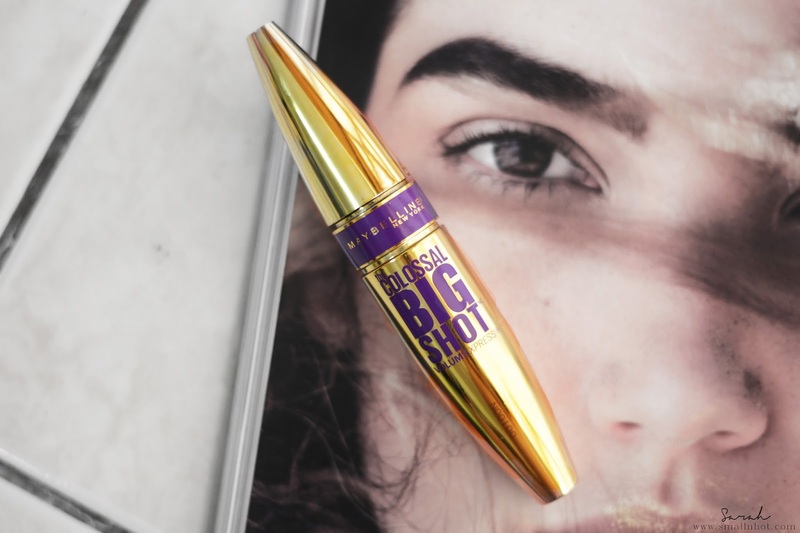 This Maybelline Big Shot Mascara is yet to be available in Singapore or Malaysia but no worries, will keep you guys posted when it's out over here.